This morning I woke up to the sound of sleet after sundress weather most of the week. That's Austin for you! We're going to do our best this weekend to stay warm, have some fun and get ready for Valentine's Day next week. It's one of my favorite holidays and our wedding anniversary, so we always find a way to celebrate, kids and all! 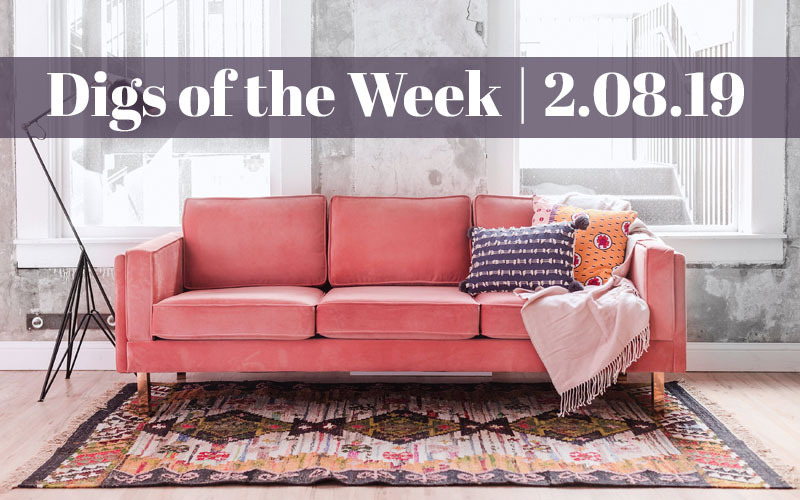 Let's start out this week's picks with 25 Interior Design Rules You Should Actually Follow because after spending January decluttering, it's now the time to make your home what you want it to be. I'm all for pattern mixing and unexpected color combinations, so these are right up my alley. My favorite is number 4. What about you? There's been a recent surge in the tiny home movement - maybe it's the Marie Kondo effect? Whatever it is, I'm dreaming of this one! Alexi and Seth Meyers have an amazing home that is quite the opposite of a tiny home, especially for NYC standards. You can drool over it here. Here's an update on the Brady Bunch House renovation. I think it's going to be fun to watch it take shape. And just for fun, here are some designer-imagined digs that are fit for a Disney Princess. The 5-year-old girl in me would love Snow White's canopy bed - so romantic!